With cooler air on the way, you may be thinking that days spent enjoying your outdoor space are limited—this is definitely not the case! 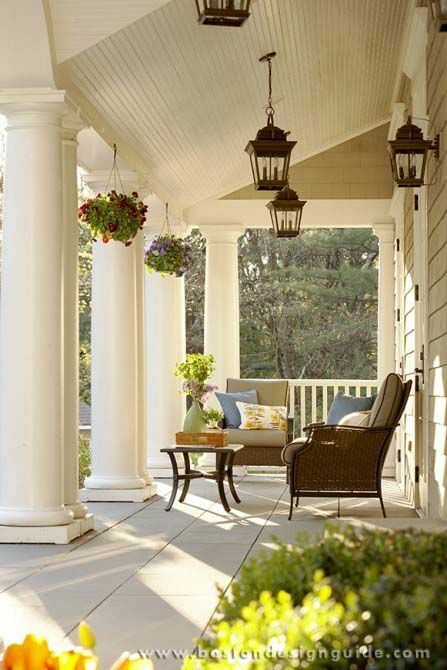 Our followers on Pinterest are loving patios and porches that can easily make the transition from summer to fall. Patios with coverings that can block cooler breezes are perfect for this in-between time. Enjoy the outdoors while still feeling protected from the elements by incorporating a partial roof or trellis over your outdoor space. 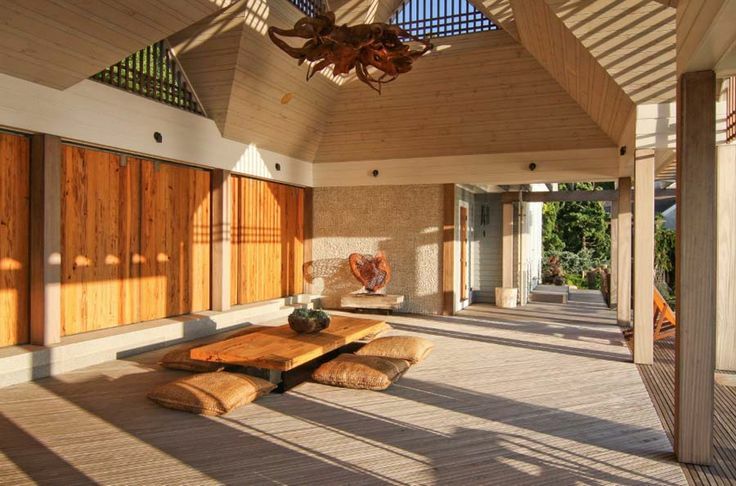 The pool house below is completely covered overhead, while still affording a stunning view of the landscape and allowing the fall air to freshen the space. Likewise, a covered side or front porch is great for this time of year too. Bring a cozy throw and a cup of hot coffee and you'll be enjoying this space well into October. 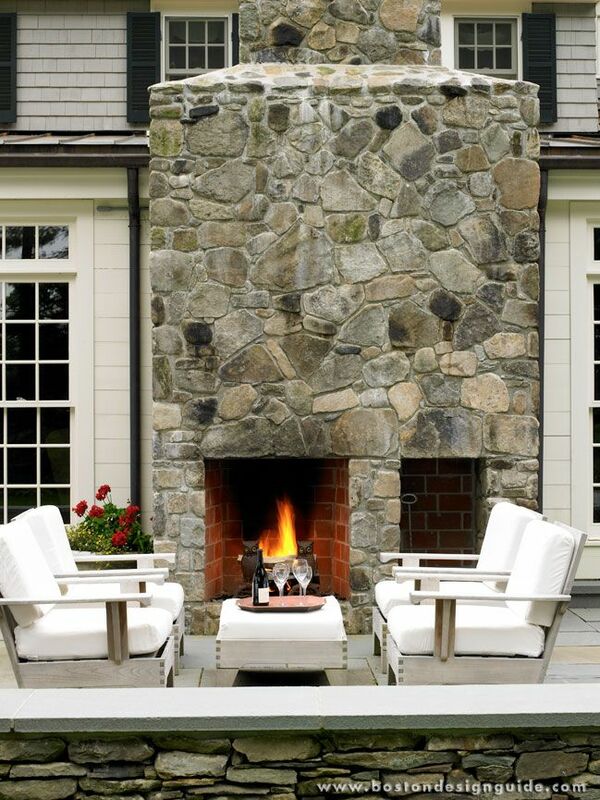 Adding a fire element is key to extending your patio's life into the fall and even early winter season. Not only does it provide much-needed warmth, it also looks beautiful all year long. 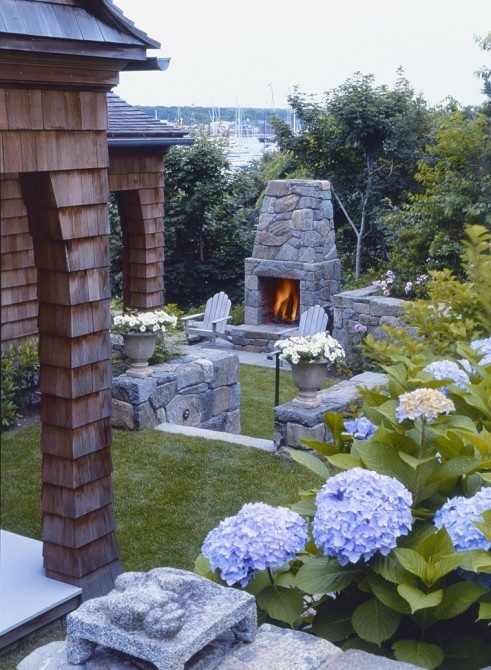 The fireplace below complements the coastal landscaping perfectly, and makes this waterfront patio suitable for cool September nights.